So, now that I'm back in the states, I thought I might mention to the world that I've been in Lebanon for the last week. 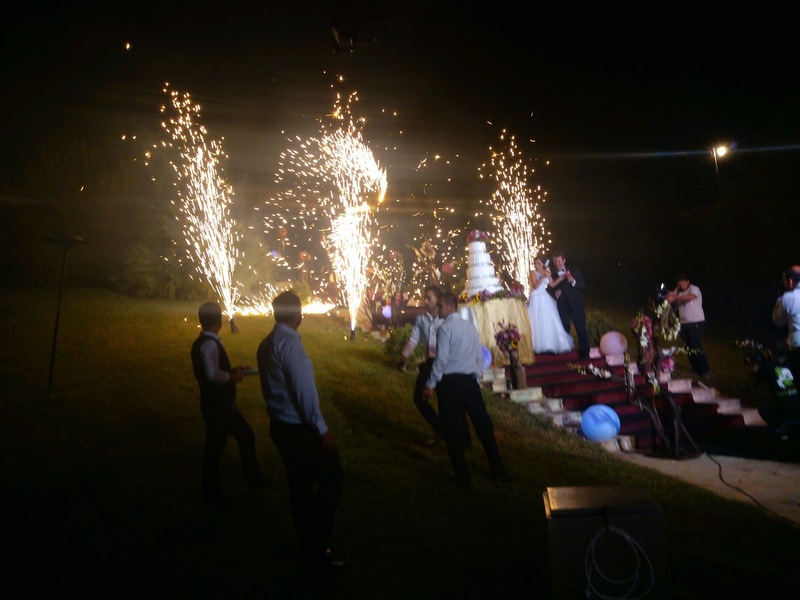 A co-worker was marrying a local girl, and they were having a ceremony outside of Sidon at the Saida Country Club. Lebanese weddings are spectacular. This particular display during the cake-cutting (with a sword, can't believe they let Jeremy have live steel) caught the grass on fire. But only a little bit. I have a bunch of photos, but I think I'll be working on organizing them over the next week or so. I visited Beirut, Byblos, the back country of Sidon, and briefly, a little hill-town between Batroun and Tripoli called Hamat that my Uncle Ron's family comes from. Good to be back, folks. Travel is interesting, but draining.